The python script presented here illustrates how a Rif can alter the visual characteristics of motion blur. Many thanks to Ali Jafargholi of the Savannah College of Art and Design for his help in developing the Rif and the model of the aircraft. 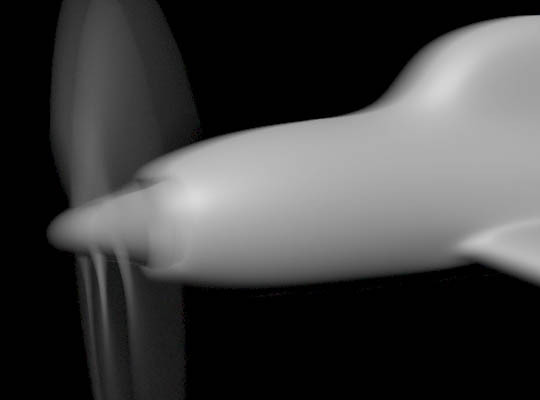 Figure 1 shows a model of a propeller aircraft that has been rendered using "standard" motion blur - activated by the Render Settings->Features->Motion Blur checkbox. Figure 2 shows the aircraft rendered after the beauty rib has been filtered by the Rif shown in listing 1. 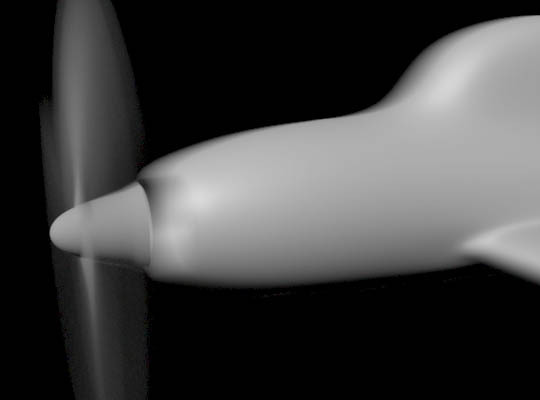 The Rif has modified the blur of the propeller so that it displays rotational blur but no translational blur. 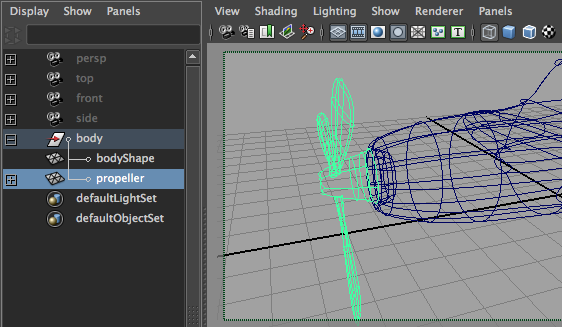 For the Rif to work properly the propeller has been parented to the "body" of the aircraft - figure 3.
they should save listing 1 as rif_motionblur.py in their Maya/projects/RfM_python directory. Running the rif and displaying the image in "it" is then simply a matter of executing the following command in the Maya's script window.